Prima is delighted to announce the first user group meeting of 2019. 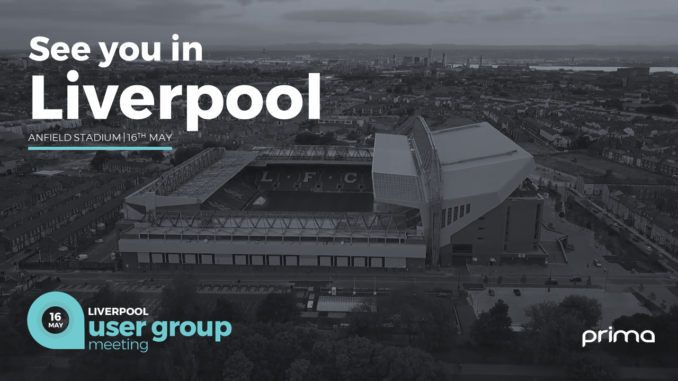 The event will be held at Anfield, one of the world’s most famous football stadiums and home to Liverpool FC. Prima holds user group meetings regularly across the UK & Ireland to stay connected with customers, listen to their ideas and showcase the exciting development roadmap. The ultimate goal of these free training events is to help users increase efficiency and productivity while using Prima’s products and services to control their business. Oliver Rowles, Prima’s UK & Ireland account manager, said: “At Prima, we live by the slogan ‘supporting independent dealers’ and that is exactly what we aim to do, with these free user group meetings being just one piece of the puzzle. We benefit a great deal, as a company and me personally, by listening to the thoughts and ideas from our customers, so it’s all about providing the perfect opportunity to learn and develop from each other.